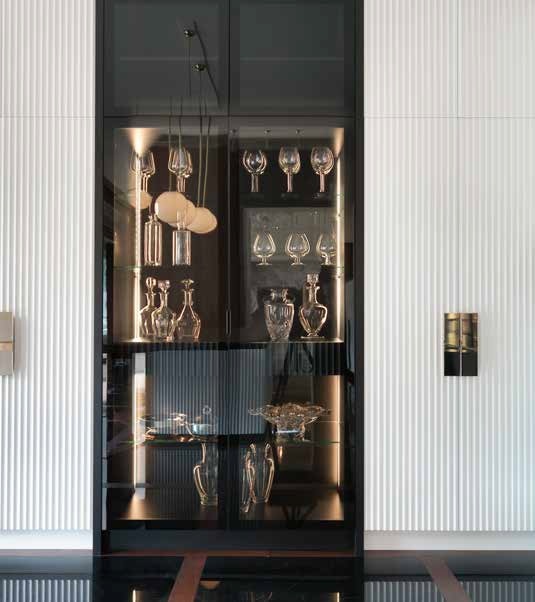 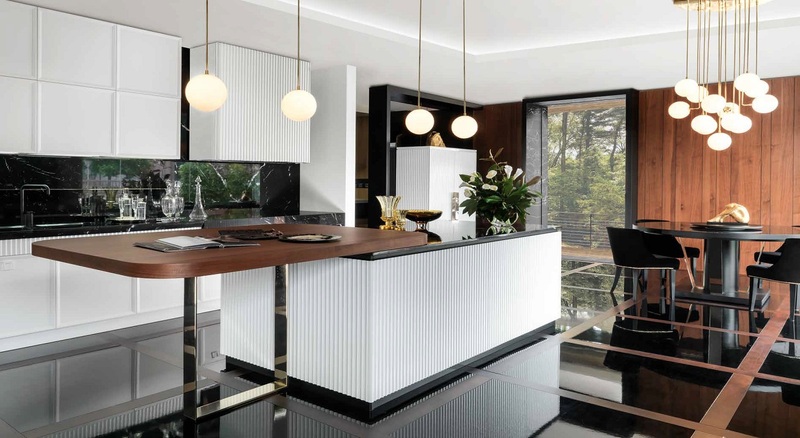 Deco was born out of the research into the glories of the cabinetry linked to its name, a flavour that our era is rediscovering and reviving, taking us back to its characteristic canons, such as the use of geometric shapes, brass details, and combinations of lacquers with precious woods. 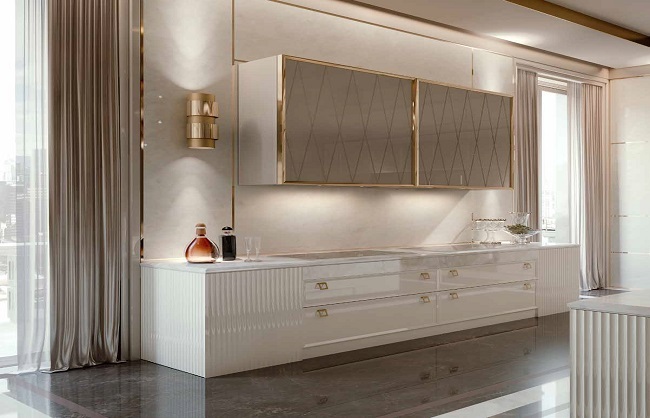 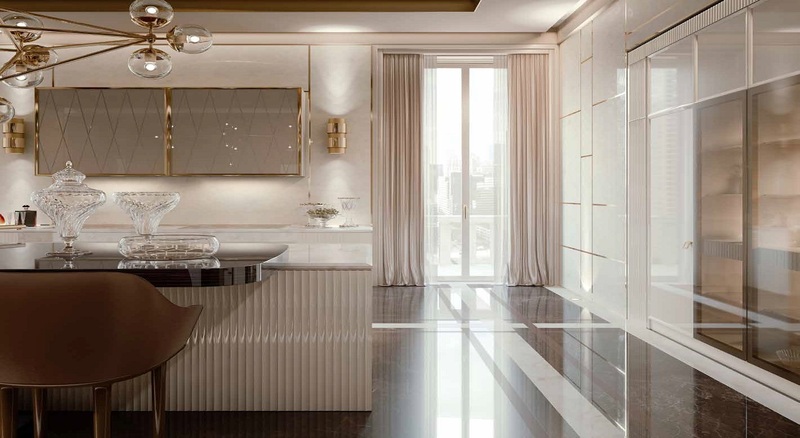 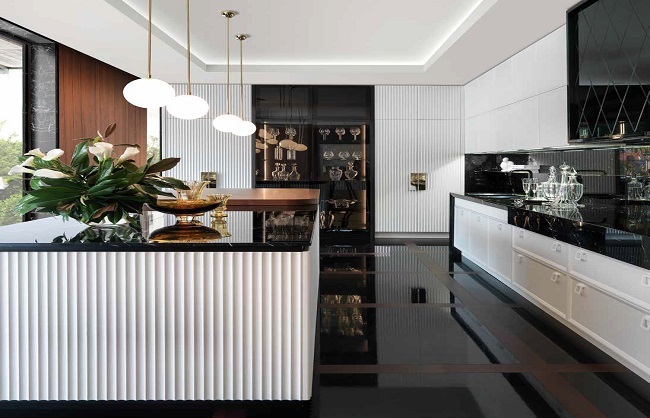 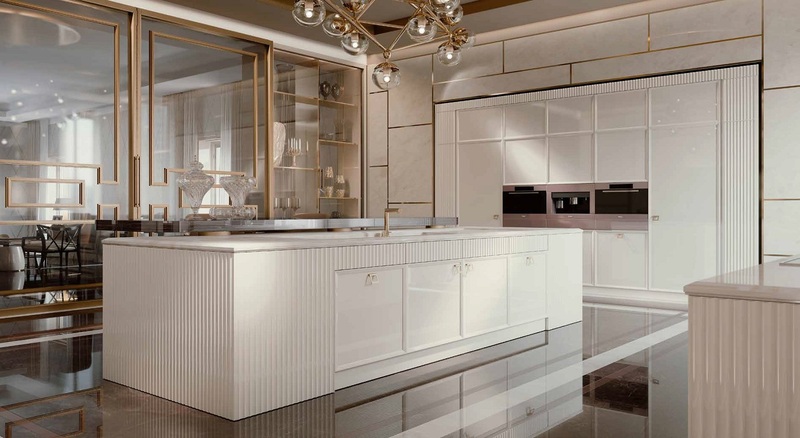 The high-gloss lacquered kitchen features the art deco style, with the diamond-shaped motif on the sliding cooker hood, brass-plated handles and shelves, and walnut panelling. 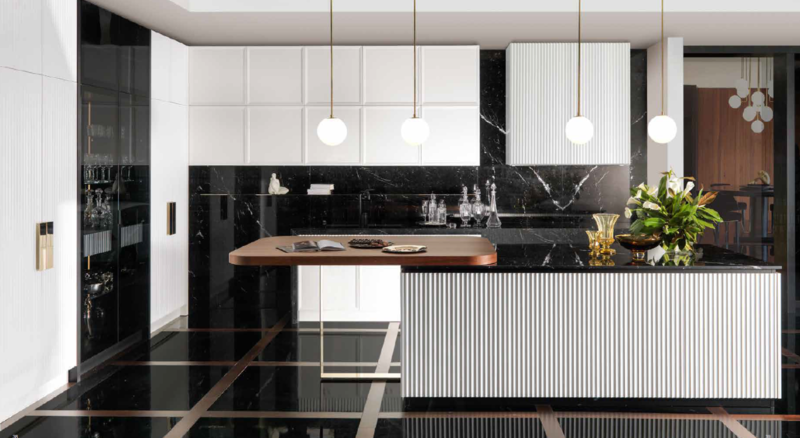 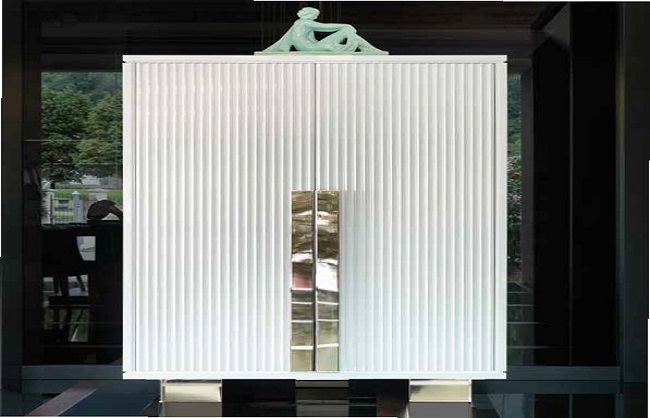 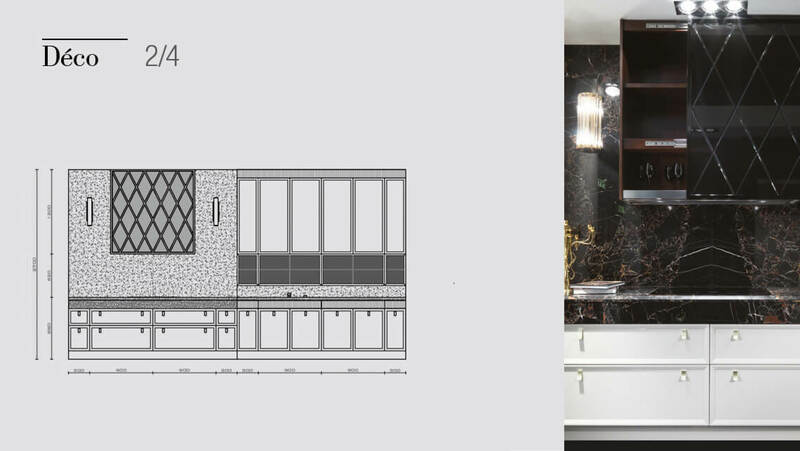 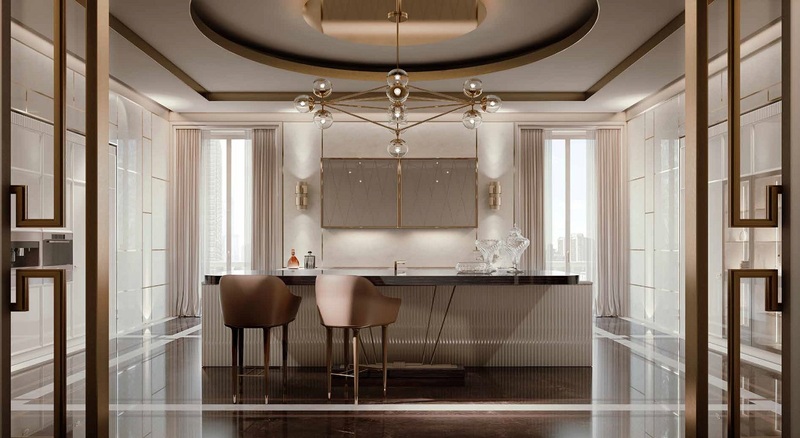 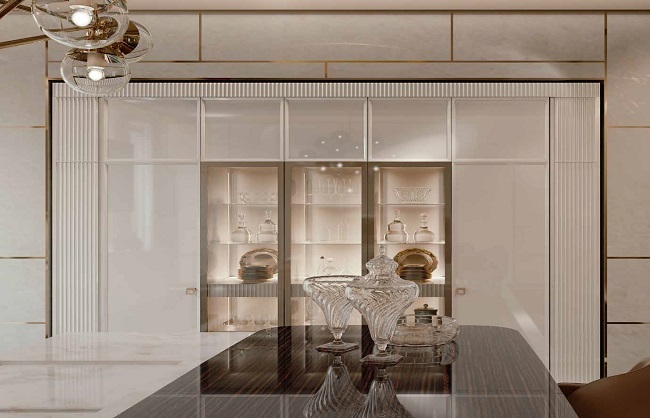 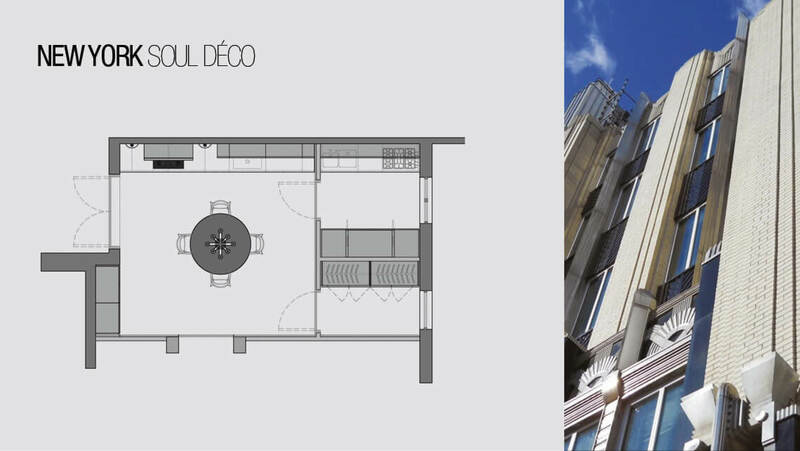 Deco reveals the craftsmanship that has been dedicated to it in its details: the glossy lacquer combined with refined walnut wood, the diamond-shaped engravings on the cooker hood, the corrugated workings of the drawers, the brass details, and the grain of the polished marble. 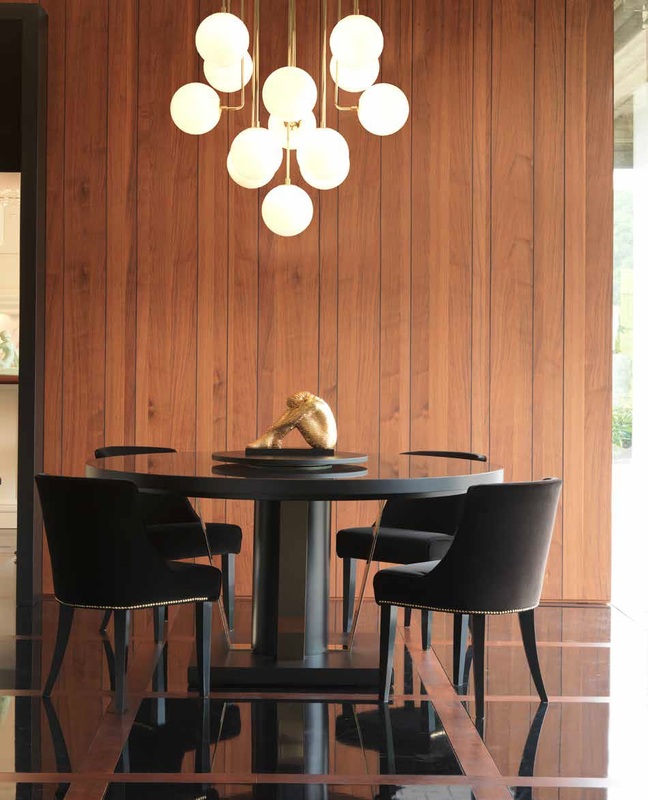 In this fine collection, the rigor of modern style is accented by the values of the art deco soul. 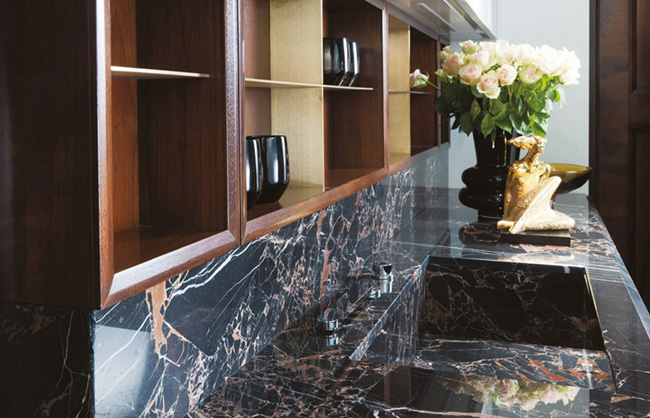 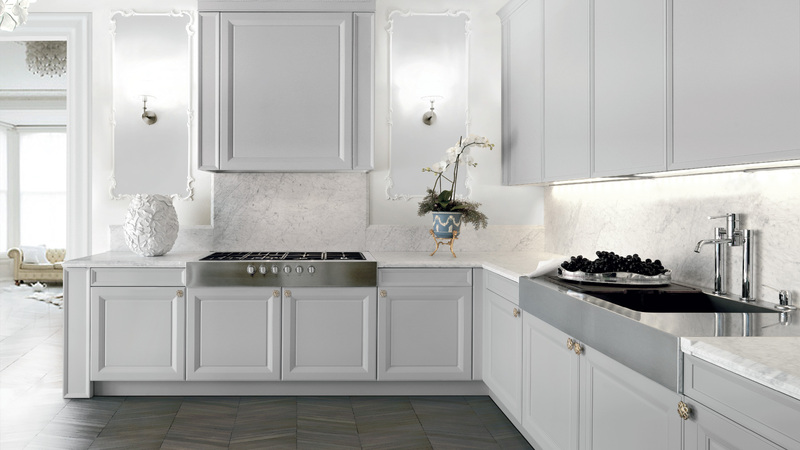 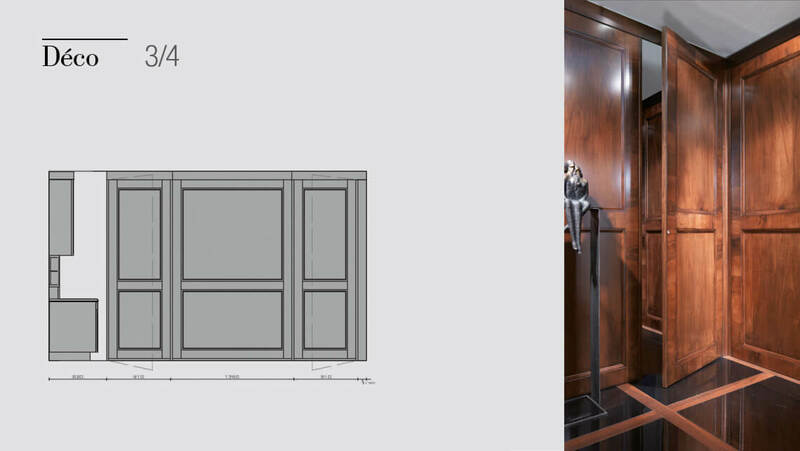 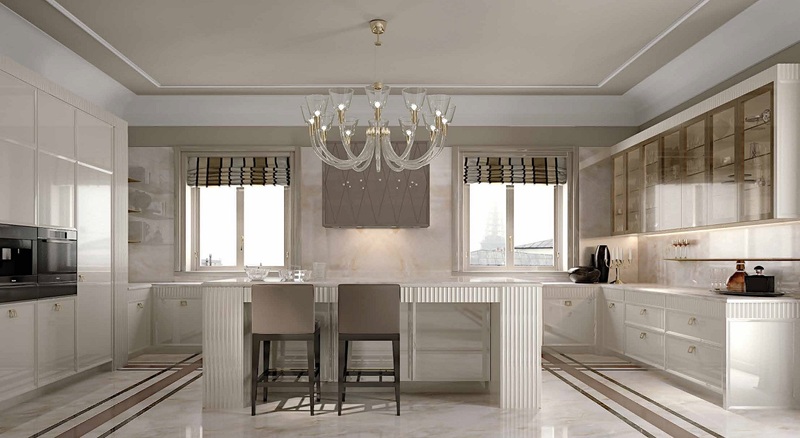 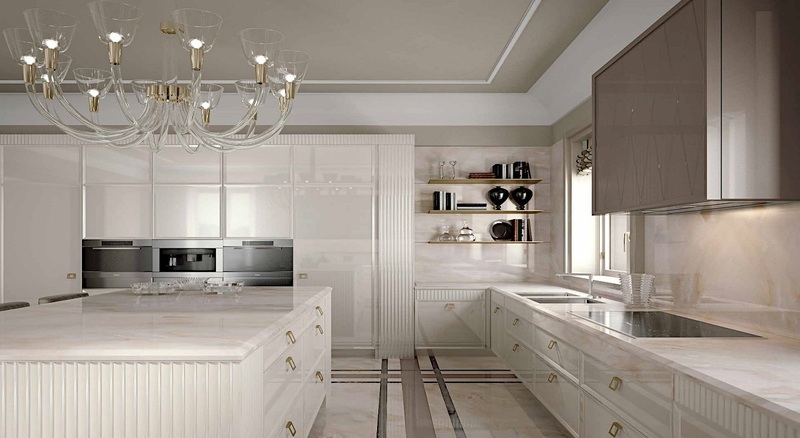 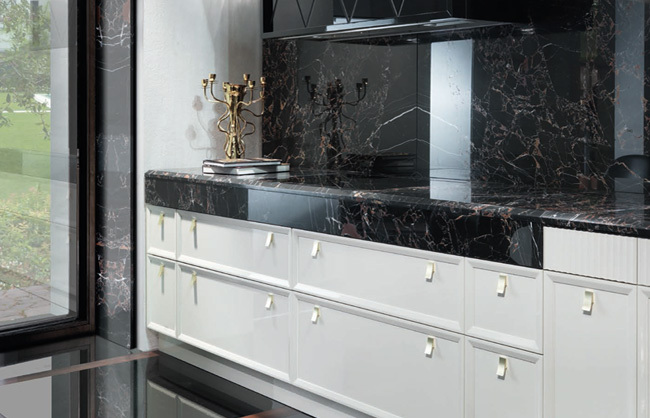 From art deco comes the inspiration for a kitchen that offers a classical style in modern presentation. 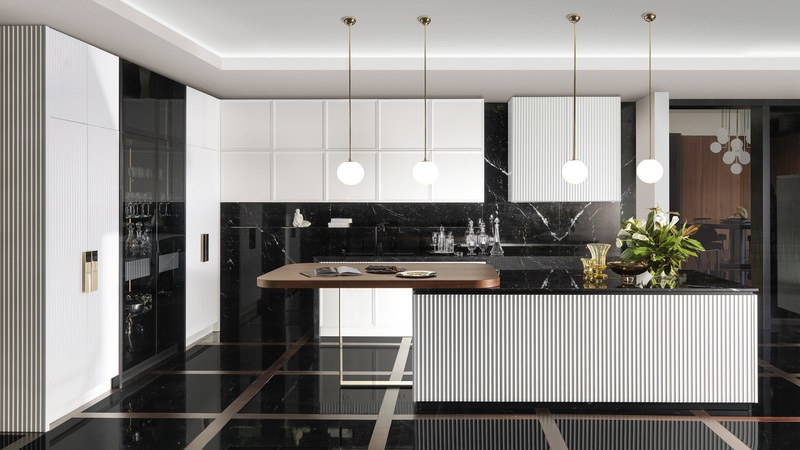 This is a wall exclusively dedicated to the kitchen with practical baskets, corrugated workings on drawers, high hanging cabinets, a large cooker hood with a sliding door in black glass engraved with a diamond pattern, and a back made of marble featuring open compartments under the hanging cabinets in walnut with brass details. 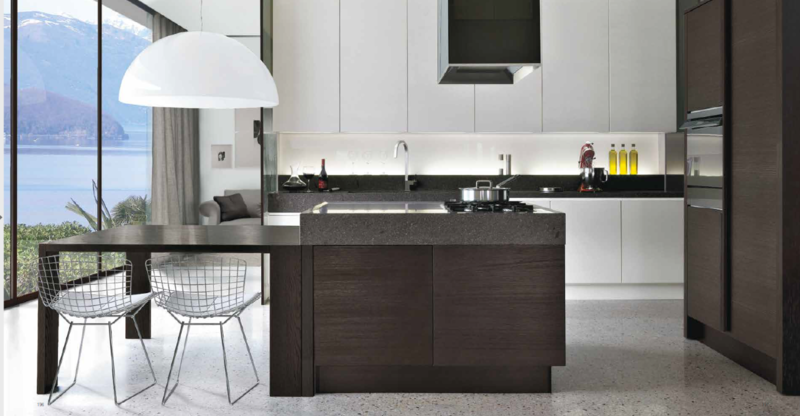 The walnut panelling matched to the kitchen can be opened for access to a service area or used as a wardrobe. 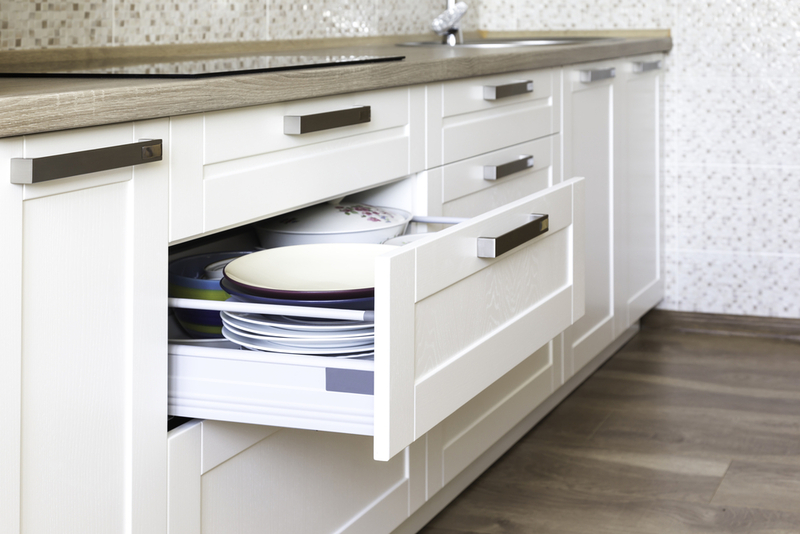 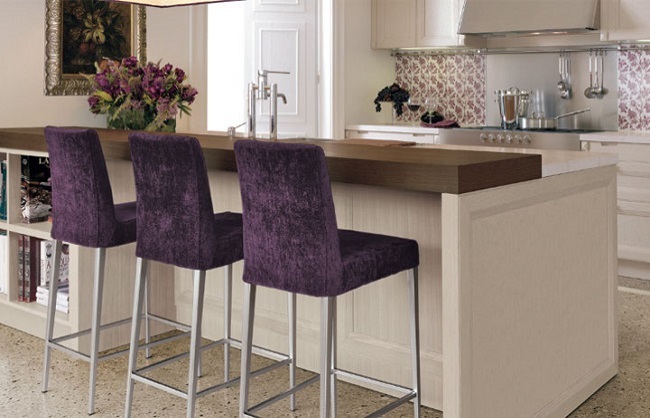 Every one of the styles we offer can make your kitchen the centerpiece of your home.